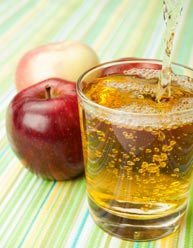 Are You Giving Your Children Poisonous Apple Juice? 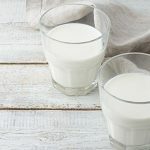 Most of us do our best to limit the amount of non-nutritional junk sitting around the house, especially those of us with kids. 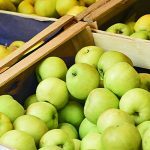 The St. Petersburg Times, in Florida, has just published the results of an investigation they undertook to discover the arsenic levels of popular apple juice brands found in grocery stores. The newspaper had an independent third-party laboratory carry out the actual tests. Altogether, there were 18 samples of apple juice examined. 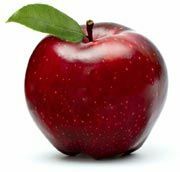 More than one-fourth of the tested apple juice brands showed arsenic levels ranging between 25 and 35 parts per billion. These are concentrations high enough to warrant the US Food & Drug Administration's official "level of concern" rating for arsenic. 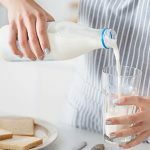 For the most part, The products tested were the very same ones you see every time you visit the grocery store: Mott's, Tree Top, Minute Maid, and Nestle's Juicy Juice brand, as well as Target and Walmart generics. Some of the less well-known names marketed primarily to schools and similar organizations were also sampled. If you think shopping organic keeps you off the hook, unfortunately, this time you're mistaken. One of the samples taken from Apple & Eve's Organic Apple Juice contains some of the highest levels of arsenic found in the entire study. Equally alarming was the whopping range of arsenic found in different bottles of the same brand juice. For example, while one batch of Walmart's Great Value label juice contained almost undetectable levels of the toxin, another contained more than 25 parts per billion. The same goes for samples taken of Juicy Juice and several others. While the news may come as a shock to much of the general public, many of us in the natural health and science community are not surprised. We've been warning the public about the dangers of arsenic overburden for many years. Arsenic is a naturally occurring metalloid element commonly used in pesticides and herbicides, as well as a wood preservative and in the manufacturing of numerous metal alloys. It's also one of the most dangerous poisons known to man. While the FDA does have an unacceptable level, I believe that no level of arsenic exposure should be considered safe. Because it is found in nature, a healthy adult human body can cope with trace exposure here and there. But as levels of arsenic accumulate in the body, they can have devastating effects. To help ensure your body's ability to keep heavy metal and metalloid levels in check, I recommend doing a heavy metal cleanse at least once a year.